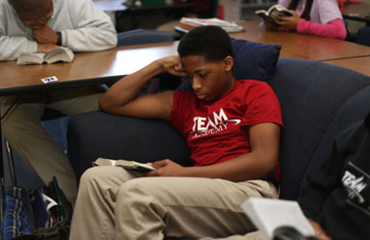 At its foundation, the academic program at TEAM Academy is based on two principles: rigor and differentiation. Our curricula and schedule are designed to prepare students to be college-ready by the end of twelfth grade, while at the same time meeting each student at their individual level. TEAM celebrates student growth and achievement through weekly grade-level community meetings, as well as through both individual and group support. We also implement daily blended learning programs, guided and independent reading, small groups and co-teaching in the majority of our classrooms. TEAM students participate in after-school extracurricular activities including drumline, soccer, basketball, film club, student council and beyond. 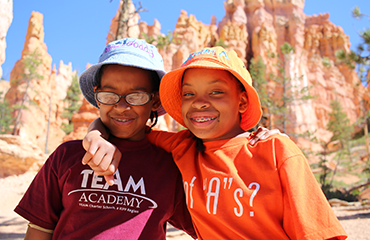 They also can broaden their perspectives through frequent instructional field lessons to national parks, museums, colleges and universities in and out of state. Results matter. This includes achievement data, the types of experiences we provide our students and the people they grow to become. 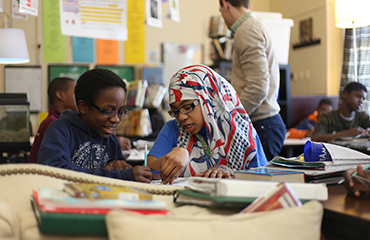 TEAM Academy measures and closely follows student growth to ensure students are meeting academic benchmarks. 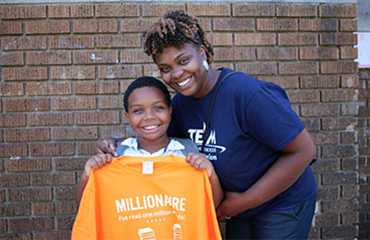 Check out all the resources KIPP TEAM Academy has for students and their families on our School Resources page.